Tours in Skiathos are many and very enjoyable. Most Skiathos tours are actually boat trips around the island, or to the exotic bay of Lalaria and the Medieval Castle on the northern side of the island. Other Skiathos tours include the boat trips to the uninhabited island of Tsougria that has amazing, crystal beaches to swim. Due to its popularity, Skiathos is also a great base for day trips to the other islands of the group, Skopelos and Alonissos. 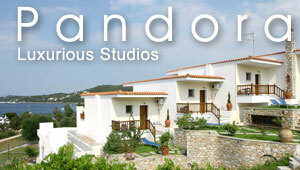 In fact, there are daily Skiathos tours to each one or both these islands. Bus tours also take place frequently to important monuments of Skiathos, such as the monasteries of Evangelistria and Kounistra.